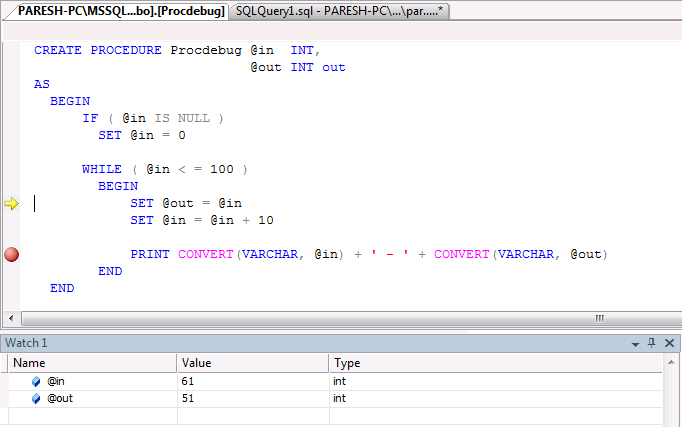 When we run into the issue of something wrong or incorrect with stored procedure and suppose the stored procedure has 1000 lines long and very complex code for custom logic in it, what you do? 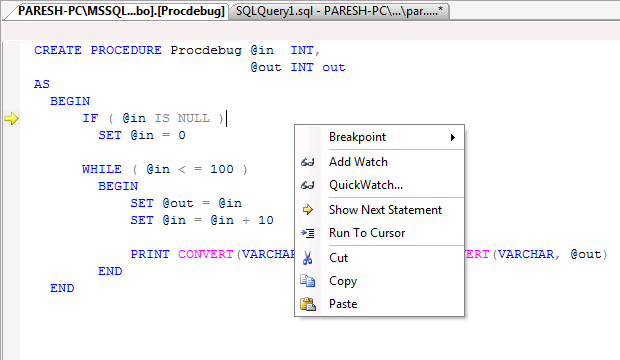 Then from above such issue, we put the SQL trace and get the procedure parameters and manually run the stored procedure and put the print statement inside SP to watch parameter track. Or sometimes we run the each block manually one by one sequentially to get the issue point. 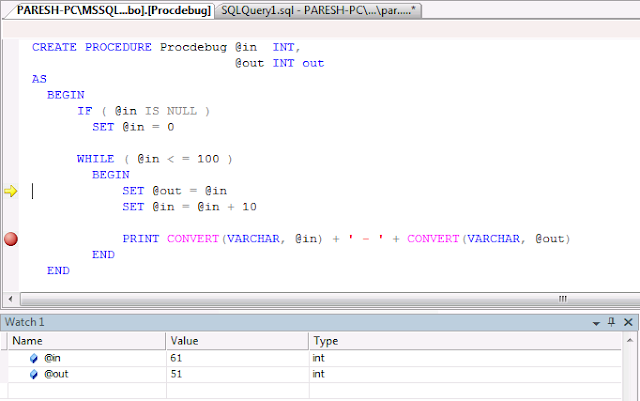 Finally, with completion of debugging the stored procedure the last output variable selected.